Young Living’s member services employees are always hard at work assisting our cherished Young Living members around the world. This month, a group of member services representatives who handle all Canadian customer service inquiries, decided they wanted to not only help Young Living members, but also families in need in their local Utah communities. 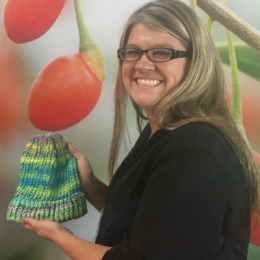 Member services representative, Meghan Howells, learned how to knit hats from her grandmother. She used to watch as her grandma would turn a ball of yarn into a beautiful—and cozy—hat on a loom. Meghan soon began making hats of her own and realized that she could turn the practical hobby she had learned from her grandma into an opportunity to give back to those in need. Meghan decided that during downtime from taking calls at work, she would spend that extra time knitting hats to donate to families in her community. Meghan has fine-tuned her processes and can now make an average of five to six hats throughout an eight-hour shift. A few of her coworkers were captivated by her servant heart and beautiful hats, and soon she was teaching them how to knit as well! 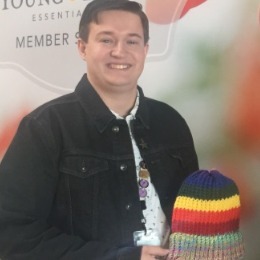 This month, Meghan reached out to the Young Living Foundation asking for a recommendation for an organization in the community where she could donate the approximately 300 hats that she and her teammates made. The Foundation worked with The Refugee Connection in Salt Lake City, and with the winter months approaching, suggested them as a group who would be overjoyed to receive such a kind gift. The Utah Department of Health estimates that there are 25,000-50,000 refugees speaking over 40 languages living in Utah, a majority of whom live in Salt Lake County. Utah welcomes approximately 1,100 refugees each year, a majority of which arrive from Iraq, Somalia, Bhutan, Myanmar, and the Democratic Republic of Congo. Click Here for more statistics. 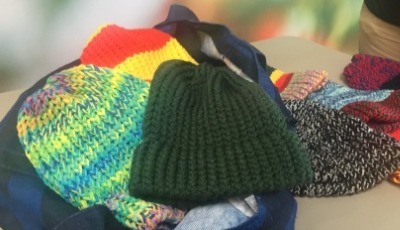 Meghan continues to knit hats and plans to donate another 200-300 more hats to cancer patients in her community. We couldn’t be more proud of our Young Living employee family as they continue to go above and beyond their day-to-day duties in search of ways to empower others.